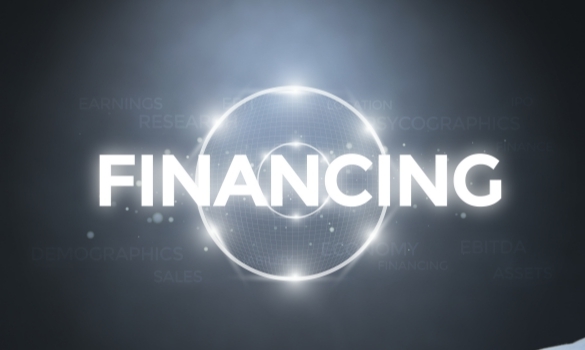 Many business owners offer customers financing options. As a business owner yourself, you should consider joining them. Company owners who offer customers financing end up increasing their own profits. They offer their products in more affordable ways. Therefore, more consumers are able to purchase them. When sales increase, so do profits. Continue reading to discover steps to offer customers financing and increase profit. Firstly, determine whether your products are eligible or not. Unfortunately, consumer financing companies only offer their services for certain items. Additionally, your company may have to meet startup requirements like years in business or revenue levels. Many financing companies require a minimum cost threshold. Some items are too inexpensive to meet that threshold. Such items do not qualify for customer financing programs. Check to see if your products are eligible for payment plans. That is your first step to offer customers financing and increase profit. Once you have determined your eligibility, evaluate your options. Consider both customer financing companies and in-house financing platforms. In-house financing platforms allow you more control as a business owner. With this option, your customers will apply for financing at the point of sale. Perhaps you would like more help from an outside source. Then, you may choose to partner with a customer financing company. Customer financing companies assist you in taking care of the recurring billing and payment collection. They aid in building payment options for consumers. To offer customers financing and increase profit, you must first evaluate your options. If you chose to work with a financing company, your next step is to select a financing provider. Firms can be deceiving. When choosing one, look into the fine print. Look for financially sound features such as no minimum sales threshold. Search for a firm that does not require long-term contracts or equipment requirements. Only sign on the dotted line if the firm takes less than 5% of each sale. If you choose to sign with a provider that takes more than 5%, your profit will be much lower. Guarantee that you can offer customers financing and increase your cash flow simultaneously. To do so, choose the right financing provider for your business. Additionally, consider the 3 levels of financing and decide which you will offer customers. Firstly, look into primary programs. These programs offer the best loan terms. They also have lower merchant fees. Secondly, examine sub-prime programs. Sub-prime programs are lower risk plans and offer non-recourse loans to business owners. Finally, consider no-credit-check plans to offer instant approval. If you choose to work with no-credit-check plans, understand that they do not demand credit qualifications. Research all 3 levels to offer customers financing in the best way. Decide which will make you the most profit. Lastly, provide your customers with detailed information. Regardless of the financing options you offer, you are required to supply certain data. Before they agree to a payment plan with your business, they must understand your APR. Include specifics on how much they will need to repay and when they will need to repay it. Bring any late or missed payment fees to their attention. Allow your customers the knowledge of what exactly they are agreeing to. In doing so, you will save yourself customer issues in the future. You can offer customers financing and make a profit without worry of legal disputes. Business owners thrive when they offer customers financing. Sales increase, also increasing profits. To increase your sales and profits, begin by determining if your products are eligible. Then, evaluate your options. If you decide to go with a customer financing company, select a provider. After, consider the 3 levels of options you can offer your customers. Finally, put together the information you are required to provide your customers with. Follow these steps to offer customers financing and increase profit.